Bringing hundreds of LGBTQs to typically 'straight' spaces for one-time only experiences. You've reach our old site. Check out our shiny new site here! The Welcoming Committee is a movement of LGBTQ folks based on expanding social options beyond the gay bar. We build huge communities of LGBTQs and bring them to iconic (and otherwise "straight") nightclubs, performances, sports events, and travel destinations—all in the name of a good time. Join the movement to find out where we're headed next. And if you want to help make Minneapolis an even more awesome place to be LGBTQ, join our volunteers as part of the Day 1 Club! Our signature nightlife event. On the first Friday of each month, join us and hundreds of LGBTQs as we descend on a straight bar and make it ours for the night. Only members will know where we're headed. We announce the venue the day before. Find out where here. It's the Walker Museum's next big exhibit and we're invited to the big reveal. Our tickets come with VIP access, getting you into the museum and onto the dance floor an hour early. Join here! Tickets on sale now! Imagine Vegas dyed a new hue of LGBTQ. With unparalleled access to shows, pool parties, day trips and clubs. Join us on our trip to Sin City this fall. Earlybird prices end July 8! Viva, Las Vegas. 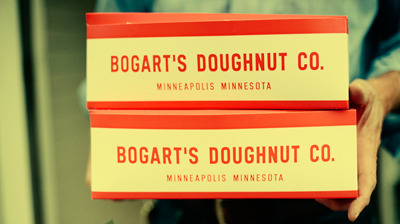 Our first event to kickstart your spring is a private doughnut tasting with the lovely folks at Bogart's. #rainbowsprinkles Snag your spot before it's sold out. The art museum is throwing a late night party for their new International Pop exhibit. Want in? Well TWC members will be VIPs and get an exclusive discount. Find out more here. Join TWC-ers as we enjoy beer and all the sliders, pretzels, and cheese fondue you can eat from the newly renovated brewer. Sip, savor, and score your ticket here. Join us as we takeover the straightest American tradition: baseball. Sit with TWCers as we turn Target Field into an LGBTQ bleacher party. Score your ticket here! Become a member to stay in the loop about TWC events in Minneapolis. Have your own idea of places that need to be more LGBTQ-friendly (or just a lot more fun)? Host a LGBTQ event and looking for a partner? 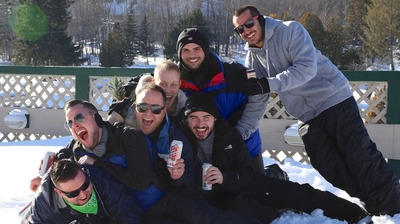 Part of a community, employee, or sports group that’s looking for more social options? Thank you! We love suggestions. By the way, have you liked us on Facebook? Still have questions about TWC MSP?